This action-packed weekend course is run by Dorset straw bale builder Phil Christopher, of Huff and Puff Construction. Phil believes passionately in bringing all the wonderful benefits of straw bale building to a wider audience, and in addition to his work for Huff and Puff, he is on the board of Straw-bale Building UK (SBUK), promoting straw bale building and best practice in the UK. 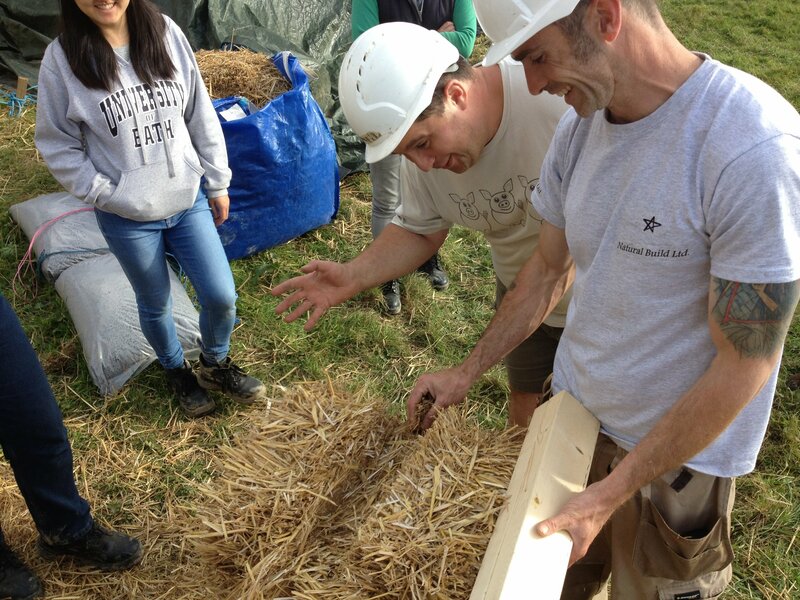 Your weekend starts with an introductory session on the Friday evening, followed by two days of both theory and hands-on building experience of both load-bearing and timber frame straw bale. No previous building experience is required! What you’ll learn on this course should give you enough knowledge and confidence to start your own project. The course fee includes your accommodation and all meals at the wonderful Monkton Wyld Court. So you can immerse yourself in the course, get to know everyone and ask all the questions you want, perhaps over a drink in the evenings at the on site pub, all followed by a good night’s sleep! 7pm - A presentation about straw bale building in the UK, covering history, types of construction and its many benefits, including answering your questions. All interspersed with lovely meals, tea, cake and biscuits. Finish on Sunday will be at 5pm latest. Please book using the button above. You can also email [email protected], or call Phil on 07770 565656 with any questions.